…while we spend some time in New England. Owen and Megan have attended “classroom” school (ie, not “boat” school). We’ve completed some home maintenance projects. We’ve only been on the water a handful of times, sailing Beetlecats and J-70s, and just as too many banquets make a warrior soft-edged and slow, our time ashore has left us pale-skinned and overly comfortable with the trappings of consumer society. Time to return to the sea! 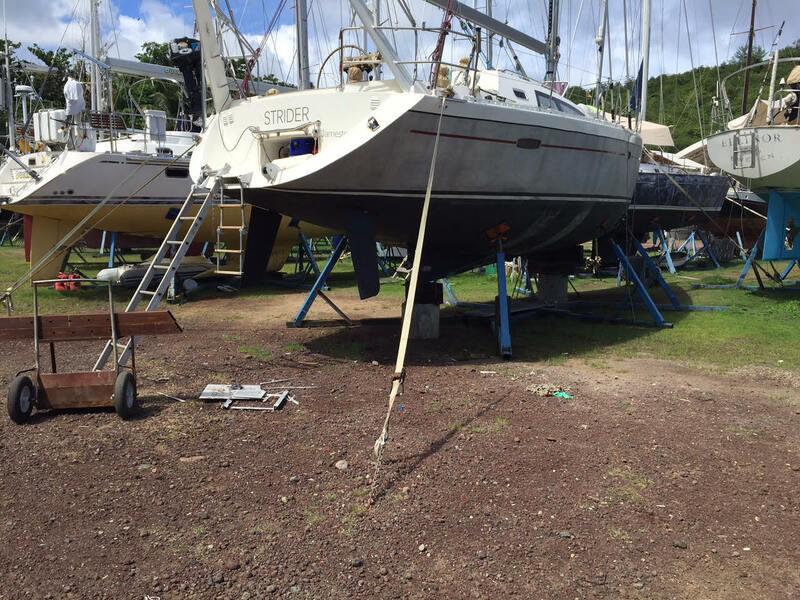 On November 30 I (Colin) fly to Grenada to prepare for launch and commissioning. It will take 2-3 weeks to return Strider to cruising form, and I’ll write about this when the time comes. For now, thinking about sails, rigging, and systems seems the perfect time to reflect on the past year – in particular, what worked and what didn’t during 7,150 nautical miles underway. You can read about it on the Equipment and Maintenance page.